Enhanced recovery after surgery (ERAS) programs have been shown to ease the postoperative recovery and improve clinical outcomes for various surgery types. ERAS cost-effectiveness was demonstrated for colorectal surgery but not for liver surgery. The present study aim was to analyze the implementation costs and benefits of a specific ERAS program in liver surgery. A dedicated ERAS protocol for liver surgery was implemented in our department in July 2013. 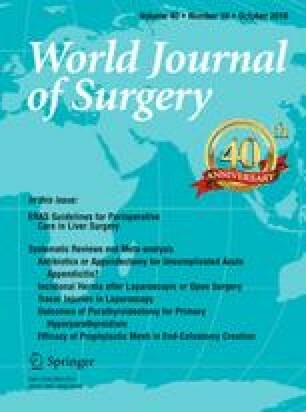 The subsequent year all consecutive patients undergoing liver surgery were treated according to this protocol (ERAS group). They were compared in terms of real in-hospital costs with a patient series before ERAS implementation (pre-ERAS group). Mean costs per patient were compared with a bootstrap T test. A cost-minimization analysis was performed. Seventy-four ERAS patients were compared with 100 pre-ERAS patients. There were no significant pre- and intraoperative differences between the two groups, except for the laparoscopy number (n = 18 ERAS, n = 9 pre-ERAS, p = 0.010). Overall postoperative complications were observed in 36 (49 %) and 64 patients (64 %) in the ERAS and pre-ERAS groups, respectively (p = 0.046). The median length of stay was significantly shorter for the ERAS group (8 vs. 10 days, p = 0.006). The total mean costs per patient were €38,726 and €42,356 for ERAS and pre-ERAS (p = 0.467). The cost-minimization analysis showed a total mean cost reduction of €3080 per patient after ERAS implementation. ERAS implementation for liver surgery induced a non-significant decrease in cost compared to standard care. Significant decreased complication rate and hospital stay were observed in the ERAS group. This paper has been presented in parts at the 2nd World Congress of ERAS, May 9–12, 2015, Washington DC, USA and at the 102nd Annual Congress of the Swiss Surgical Society, May 20–22, 2015, Bern, Switzerland. The authors would like to thank all the ERAS team of our institution for the daily clinical and research work. A particular thank is addressed to Valérie Addor our ERAS-dedicated nurse who gathered all patient data and to Ghada Jarrar who helped in the completion of the ERAS liver database. Mr. Nicolas Larqué of the accounting department is also acknowledged for providing us with all the real costs and financial patient data. Gaëtan-Romain Joliat, Ismaïl Labgaa, Martin Hübner, Catherine Blanc, Anne-Claude Griesser, Markus Schäfer, and Nicolas Demartines have no conflicts of interest or financial ties to disclose.